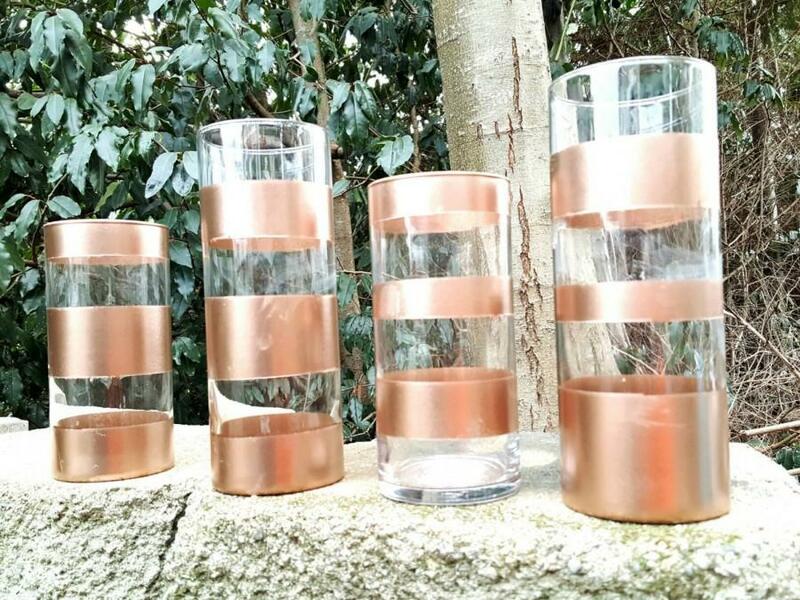 Rose Gold, Cylinder Vase, Set of 4, Wedding, Centerpiece, Table Decor, Home Decor, Spray Paint, Flower Vase, Candle Vase, 7.5" and 9"
This listing is a set of 4 spray painted in Rose Gold. I did different varies of strips so they all don't look the same. Also the cylinder vases are two different sizes. So it's a very unique piece set! This can look great on its own, or put candles in, or flower arrangements! For weddings, home decor, Table decor, etc.